Last month, Segment I celebrated its two year construction anniversary since the groundbreaking held on September 8, 2015. 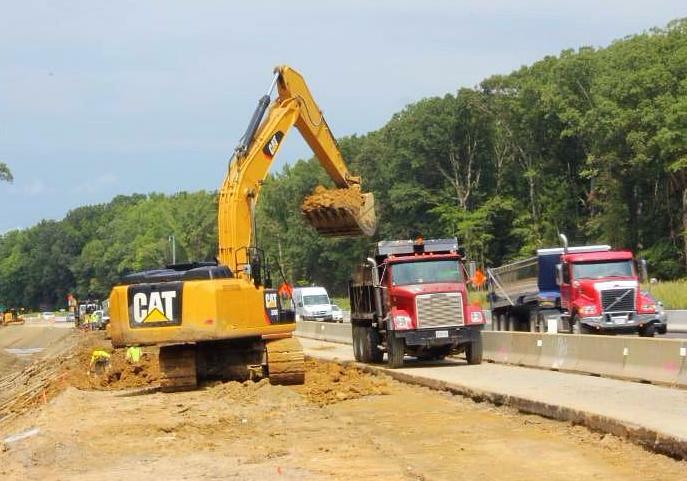 With nearly two months left of construction, crews are finishing the placement of the base and surface asphalt and preparing to open both the new and revitalized lanes eastbound and westbound, from west of Jefferson Avenue (Exit 255), to just east of Yorktown Road (Exit 247) by the end of the year. 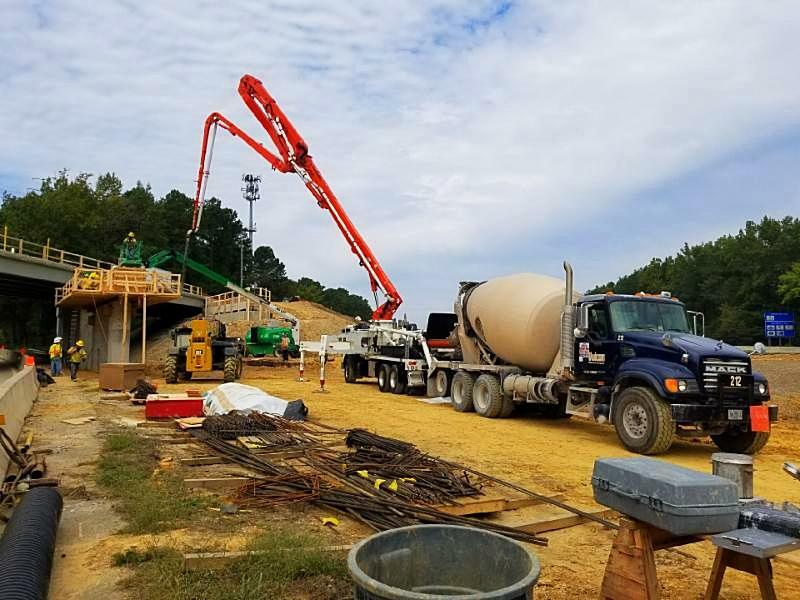 Crews will also be seen placing the finishing touches to the ramp extensions and bridge repairs at Fort Eustis Boulevard, the rebuilt Industrial Park Drive bridges, Lee Hall Reservoir bridge repairs, noise wall placement, and landscaping in the median. 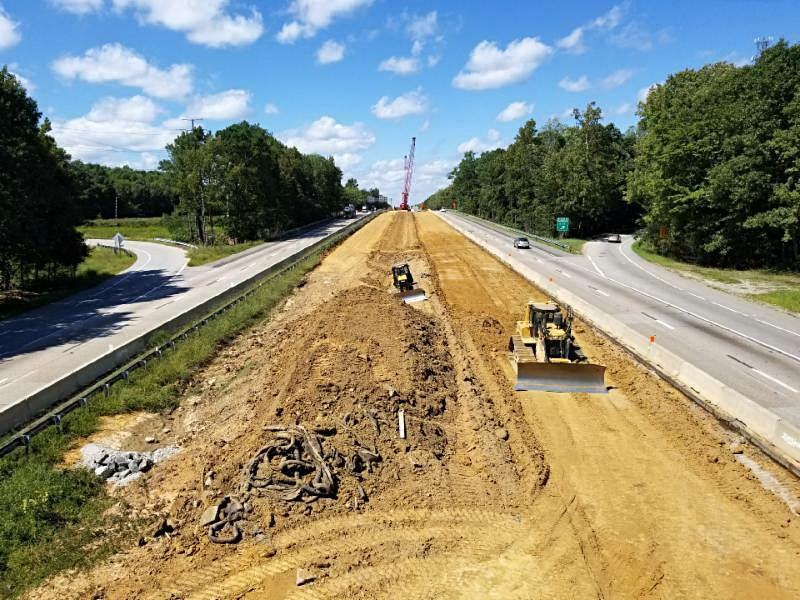 Motorists can expect some traffic shifts in the coming weeks back to the outside lanes to allow for the final landscaping and shoulder work to be completed in the median. New lanes are being constructed using Cold Central Plant Recycling, or CCPR for short. CCPR uses r eclaimed a sphalt p avement, or “ RAP ,” created from the road millings of construction projects around the region. Unlike hot-mix asphalt more commonly used in road projects, CCPR is placed onto the roadway without using heat. Crews pave the CCPR on top of a drainage layer covering the sub base layer of recycled crushed concrete, resulting in a total of 18 inches of pavement foundation produced almost entirely of recycled materials! Using CCPR on this project helps reduce stockpiles of existing “RAP” materials, as well as reduces the overall cost of project materials and environmental impacts. The first test run of the CCPR process was done for Segment II on September 29, in the median near Penniman Road in York County. 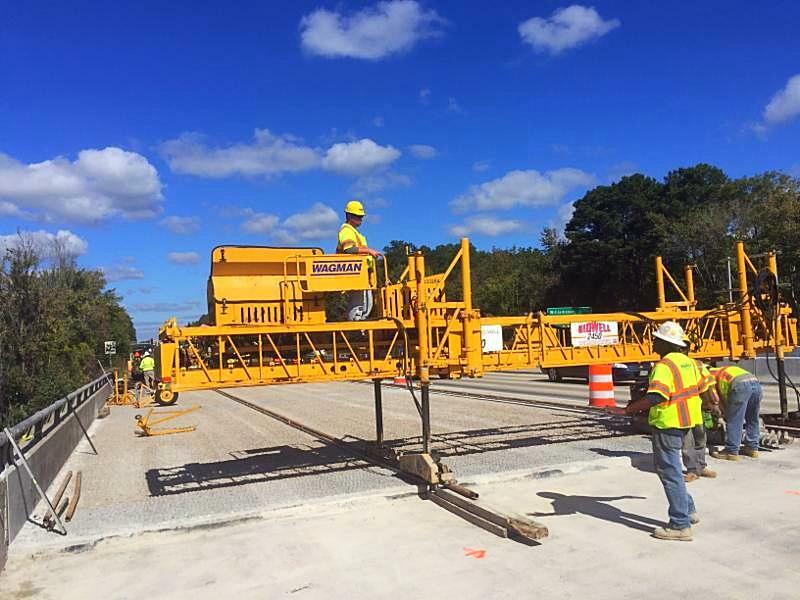 The first test run of the Full D epth R eclamation (FDR) process for Segment II took place on October 18, in the median west of Penniman Road. FDR recycles the pavement from the existing lanes back into the new pavement structure. 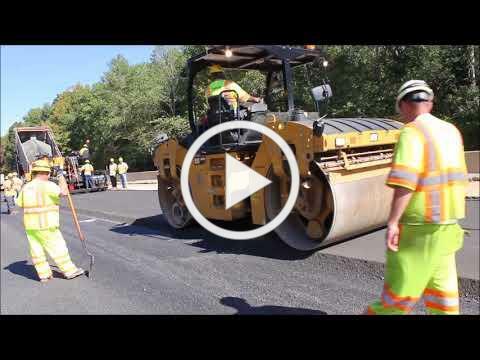 The existing asphalt layers will be pulverized, the material will be processed and compacted with a stabilizing agent, and the end product will be used to create a new base followed by an overlay placed on top. This process saves significant time, money and materials by reusing resources, reducing the amount of new and old materials being transported, and performing the recycling and reconstruction process on-site. Construction of the parapet for the westbound bridge over Industrial Park Drive. Clearing between Fort Eustis Boulevard and Industrial Park Drive for ramp extensions. Completed the pier caps and bridge deck for the east-and westbound bridges over Industrial Park Drive. Finished concrete pavement repairs in outside existing lanes. Placed bridge deck overlay at Lee Hall Reservoir Bridges. Sound barrier wall work including setting posts, panels and foundations for sound walls west of Denbigh Boulevard and west of Industrial Park Drive. 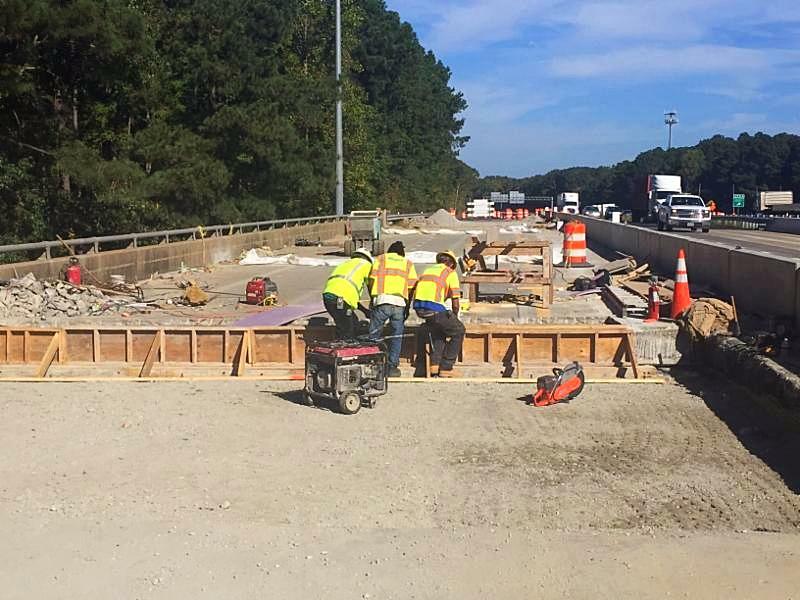 Continue joint repairs, deck slab replacements and painting at Fort Eustis Boulevard Bridges. 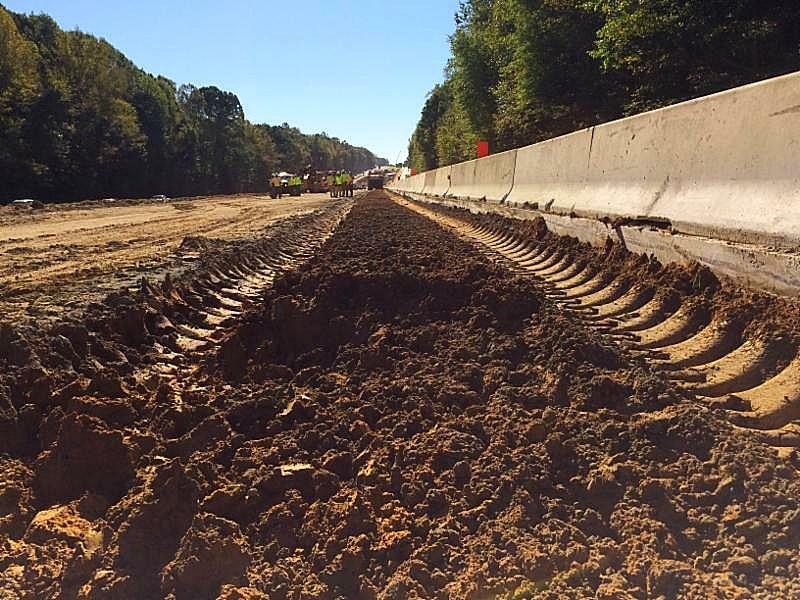 Started placing high friction surface treatment eastbound on I-64 from Jefferson Avenue to Fort Eustis Boulevard. Continued guardrail installation along eastbound shoulders. Started installing reinforcing steel for bridge pier protection system at the Industrial Park Drives Bridges. Continue substructure at the Industrial Park Drive Bridges. Start landscaping and planting in the median. Completed Cold Central Plant Recycling and Full Depth Reclamation test sections. Completed pile driving at Jefferson Avenue Bridge, Penniman Road Bridge, Yorktown Road Bridge, and Exit 243B Bridge. Continue clearing and grubbing operations outside of the eastbound lanes from Burma Road Bridge to Route 199. Started installation of overhead sign structure foundations. 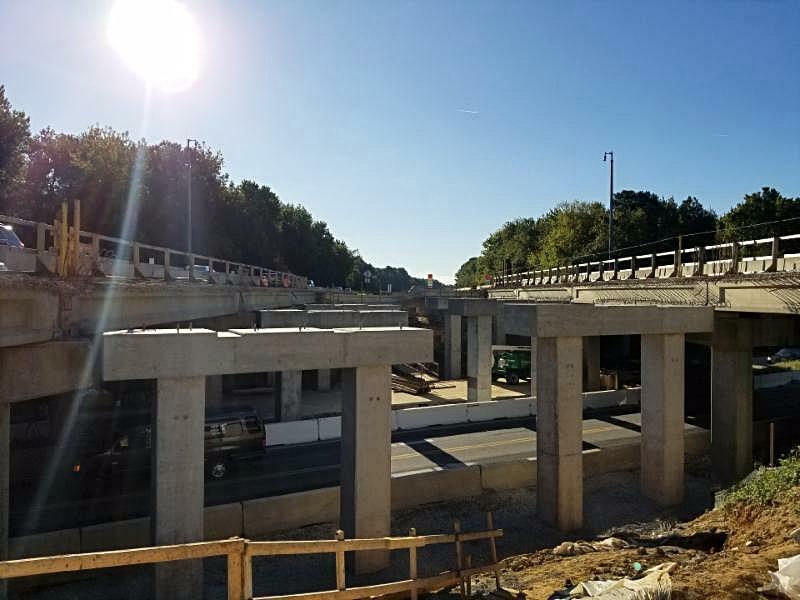 Form, Resteel & Pour (FPR) operations at the Yorktown Bridge, Penniman Road Bridge, Burma Road Bridge, Exit 243B Ramp Bridge, and Jefferson Bridge. Maintenance work throughout the corridor. 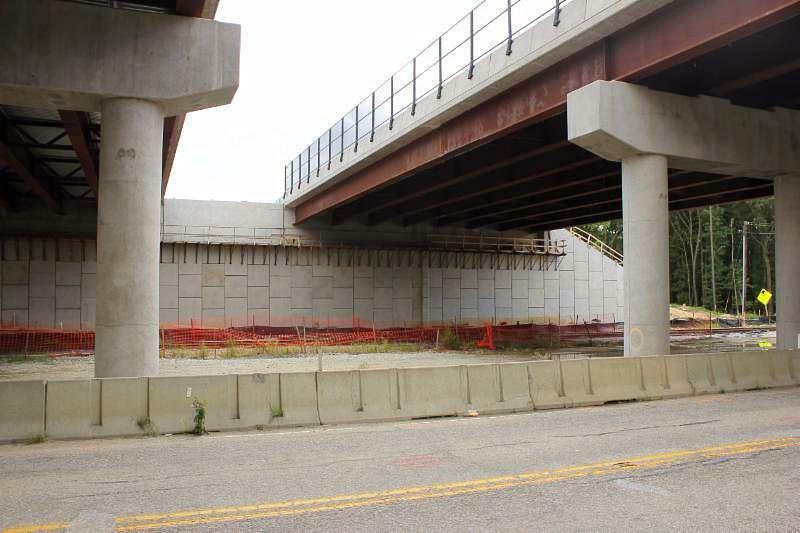 Bridge construction activities on the Yorktown Road, Jefferson Avenue, Burma Road, Penniman Road, and Exit 243B Ramp Bridges. Placement of CCPR materials and asphalt in newly constructed lanes.